3. 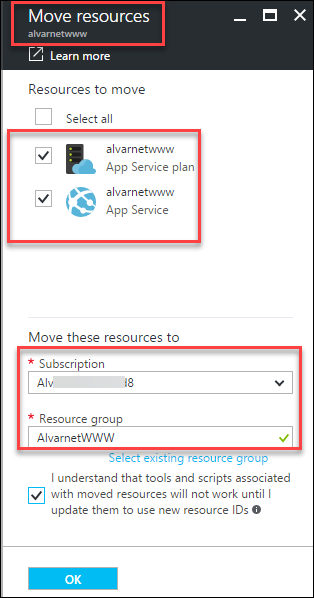 The Azure notification appears with a full description of what was moved from where to where. 4. 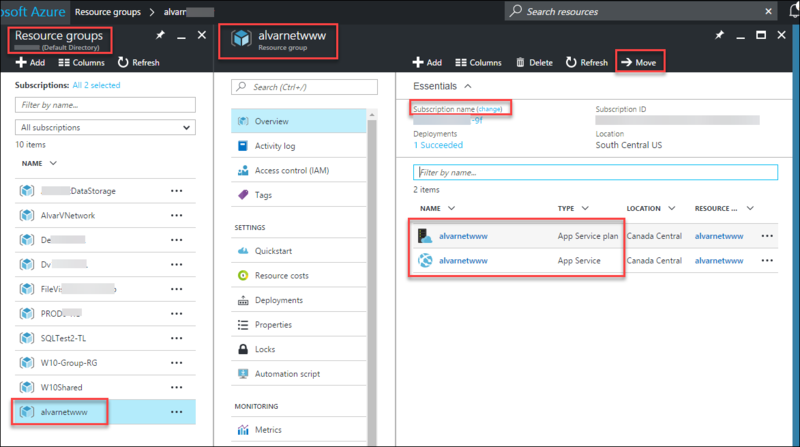 Opening the new Resource Group on the destination Subscription shows the App Service Plan and App Service that have been moved. 5. Verify that website still resolves although the resources have changed subscriptions. 6. 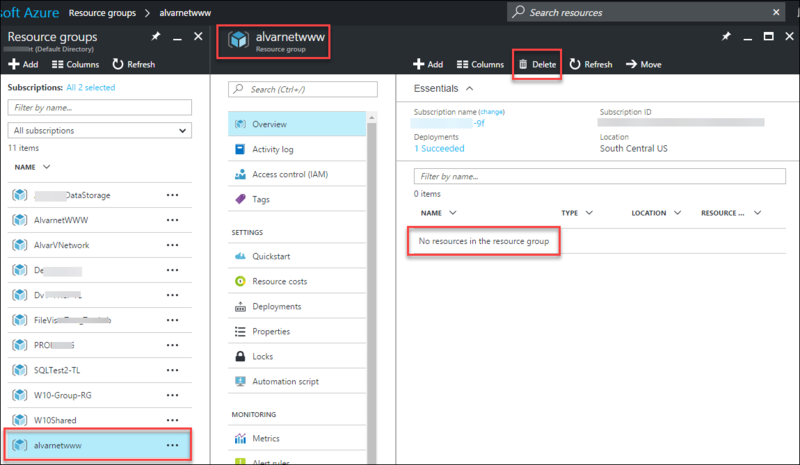 It is a best practice, if the initial Resource Group on the source Subscription will not be used again and is empty, to delete it from the source Subscription.